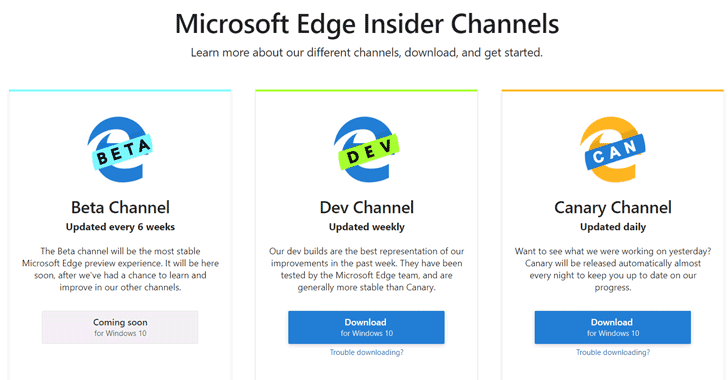 "Every night, we produce a build of Microsoft Edge — if it passes automated testing, we’ll release it to the Canary channel. We use this same channel internally to validate bug fixes and test brand new features. The Canary channel is truly the bleeding edge, so you may discover bugs before we’ve had a chance to discover and fix them. If you’re eager for the latest bits and don’t mind risking a bug or two, this is the channel for you." "If you prefer a build with slightly more testing, you might be interested in the Dev channel. The Dev channel is still relatively fresh — it’s the best build of the week from the Canary channel. We look at several sources, like user feedback, automated test results, performance metrics, and telemetry, to choose the right Canary build to promote to the Dev channel. If you want to use the latest development version of Microsoft Edge as a daily driver, this is the channel for you. We expect most users will be on the Dev channel." 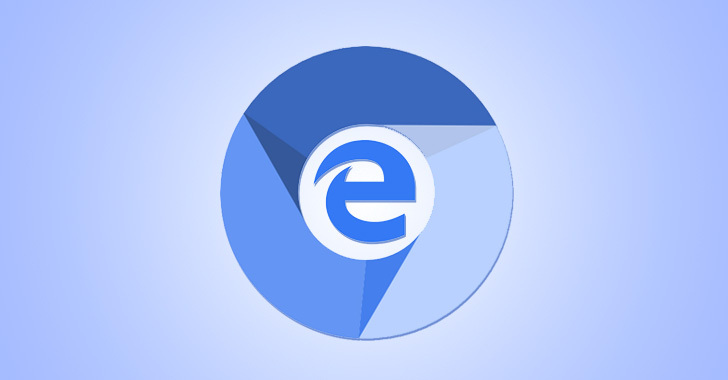 Currently, the Chromium-based Edge browser test builds are only available for 64-bit Windows 10, though the company promises to release builds for Windows 7, 8.1, Apple's macOS and other channels, like Beta and Stable in the future. 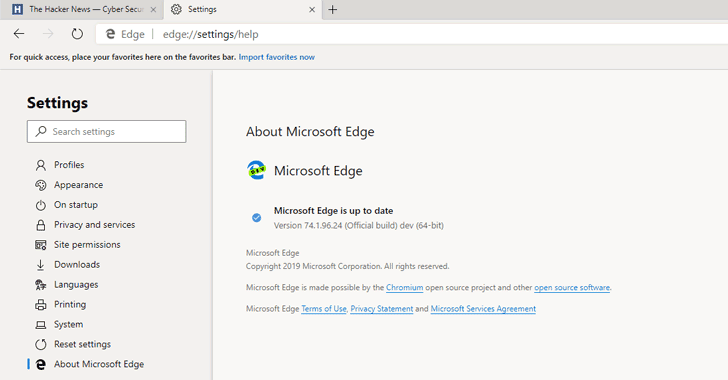 The new Edge browser also supports extensions from both Microsoft's own and Google Chrome extension stores. Chromium is an open-source Web browser project run by Google that's popular among web browser developers and also powers a number of third-party browsers including Vivaldi, Opera, Brave, and Samsung Internet. Microsoft also has plans to "work with the larger Chromium open source community to create better web compatibility for our customers and less fragmentation of the web for all web developers," said Joe Belfiore, Microsoft's corporate vice president for Windows.